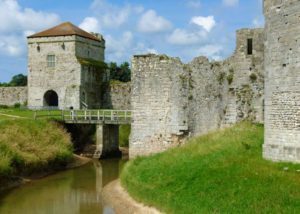 Portchester Castle England: People who love to visit historical places would surely never want to miss out England because this is one place which has lots of historical background and evidence. The castles are one of the most popular evidence that is present in England. There are so many castles that it is quite difficult to check out each of them. This is the reason why it is important to find out the more famous ones and make sure that you have a view of them. Portchester castle England is one such popular castle present. A large number of castles were built during the middle ages. At this point in time, the Normans invented England and they were actually the builders of most of the castles. The Portchester castle England is actually located in the county of Hampshire. The building is listed a grade 1 and is actually a scheduled ancient monument. The owner of this estate is the Southwick estate. But the castle is now managed by the English heritage. This is open for the tourist all the year round. This castle is actually a Roman fort. This fort is the oldest building standing in that area. The Portchester village is built around this fort. This castle was actually built for the purpose of defense but it has served a lot of purposes since it was built. 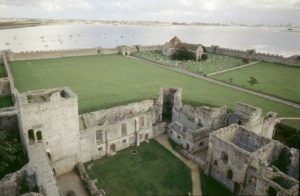 After the fall of the Roman Empire, the importance of the Portchester castle England did not decline. It was again used by the Normans during their conquest. The castle consists of the outer bailey which has gates and bastions. Other than this, it also consists of an inner bailey which has a moat, gatehouse, keeps, tower and even a palace. This castle was originally known as the ‘Portus Adurni’ but got the later name around 501 AD. 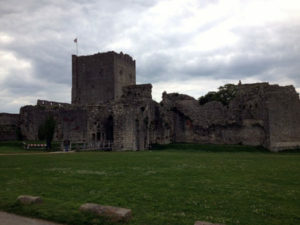 These days tourists can enjoy the Portchester castle England to the maximum extent. Inside the castle, you will find certain kind of displays and accommodation systems. This venue is also quite popular for the outings arranged by the schools. People these days make it a point to visit this castle.